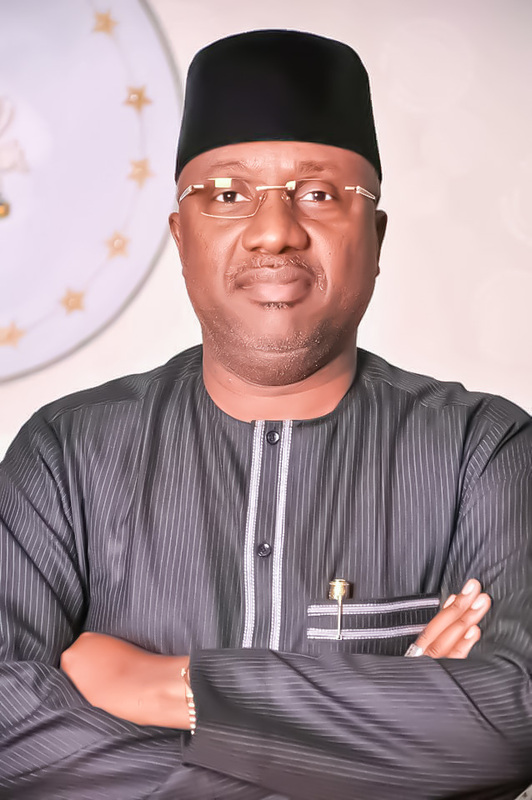 It couldn’t have been none other than providence that the incumbent Governor of Adamawa State, Sen. Umaru Jibrilla Bindow is in office, in spite of the difficulties that had strewn his path to the Government House. His trajectory has not quite differed from the challenges often attributed to great minds and men of power. However, his commensurate exposure has helped to shape his focus and approach to governance is certainly not in doubt. Coming on board as the ninth governor of Adamawa State and one with huge advantage as an insider, Bindow had a clue about the workload that awaited him as Ngillari’s successor. But the good news is that he was neither worried nor intimidated. He had his administrative prowess honed long before his emergence as governor and whatever the challenges, experience is right on hand to lead the way and ensure that ideas are conceived and prosecuted to the letters and in good time. A better part of Bindow’s life is evidently dictated by social changes, where precision, process and clinical finishes are never contemplated for enviable results. The complex nature of change, he often jokes, has helped to comprehend some of the difficulties that define governance and administration as well as pointing the direction to solution without much ado. He does not believe in highfalutin projects but those ones that make easy, the day-to-day living of the people and which of course, they can relate to, covering the lifespan of many administrations put together. His vision, for instance, of a new Adamawa as the industrial hub of not just the country but the economy of the sub-region is curious yet so simplistic. Adamawa as he sees it is ambitious – a one-stop economic district that services all. Two quick questions: is it possible and sustainable? Yes, to both. Although in realising his vision, like a majority of his colleagues, he might be nursing the problem of personnel – the dearth of people, who understand his policy drive and are ready to key into his idea of change for growth and development. But that excuse is not sufficient to stifle Bindow, who is determined to write his name in gold, not for the spur of the moment but generations to come. Just one example suffices. Discussing his vision on Adamawa some time ago, Bindow showed not only to have a good idea of what should be and how, he also convinced those around him, that his knowledge of his people is not in contention. These two elements combined, he was certain, will help achieve results faster in the development of the new Adamawa and most important, Yola. Any other approach, he reckoned, could be insipid. He reasoned that the world over, the resort to specialisation and the division of labour in the artisanal category of the informal sector help to grow the economy better and faster. In youth empowerment for instance, the program has grown beyond an individual imagination. But today, these are different sections now manned by different people for quick and massive delivery with amazing turnover. But whilst the idea is good in every sense of it, the governor reckoned it is not one to be arbitrarily shoved down the throat of people in his state, especially people who have ‘generational sentiments’ attachment to the work and deem it a family business. This is at the point, Bindow reckoned, better marketing, education and sensitization are imperative for the change in such a mindset, attitude and ultimately, the buy-in. 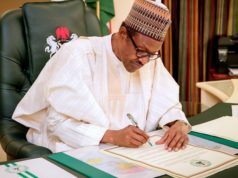 Bindow, who is the Marketer-in-Chief for the new Adamawa, recently took President Buhari around the city of Yola to witness the massive infrastructure developments across the State, ultimately for some kind of endorsement. The fact that a governor would go to that extent for his people is a manifestation of his belief in homegrown success through hard work and the “we can do it” spirit. Interestingly, he has done all of these without as much as making any political fuss or media gain from it. His penchant for media play is almost zero. But, he does not contemplate result, especially once his mind is made up about a thing. A few days ago, the governor held his party’s primaries ahead of the proposed local government elections in the state. How he has managed an otherwise potentially volatile exercise with little or no dissenting position speaks to his credentials as a pragmatic Governor, who had first done his background work, prevailed on possible opposition and took everyone along on why the outcome has to be in a particular way and yet, democratic. His belief in constructive engagement of the various elements, either for or against his stand on anything is strength for the governor in a politically explosive atmosphere. His disposition for consultation is exemplary, without minding the differing political leanings. He is no fool though; his political maturity, coupled with education and exposure, however does the magic almost all the time. 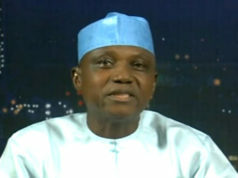 With less than two years in the saddle and in spite of the political distractions that have paved his way, this self-effacing governor of Land of Beauty (as Adamawa is called) has proven time and time again that the choice of leadership in any given social unit is key and that certain standards are not negotiable. He has shown that nothing truly compares to education, exposure, capacity and maturity in leadership. And given the contemporaneous development of Adamawa and at the same pace, it is trite, therefore, to assume that the choice of Bindow by the people was a careful one, which reflects a collective resolve to move forward. Even much more instructive is that he is daily justifying his choice with a determination and the will power to cast his name in stone. Although some of the distractions since heaped on his path have not completely gone away, his handling of them so far has blown the minds of his opponents and shown clearly that his indomitable spirit is not repressible in any way but certain to see his challenges through, especially where his rights are concerned. One thing is certain though, Bindow will go down in history as yet a lesson in leadership.